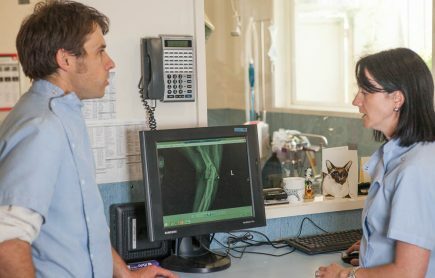 Our vets have many years of experience in medical investigations which provides accurate diagnosis and treatment of diseases your pet may have. Dr Robbie Anderton has many years experience in the investigation and treatment of difficult cases. He also holds Membership with the Australian and New Zealand College of Veterinary Scientists Small Animal Medicine Chapter. 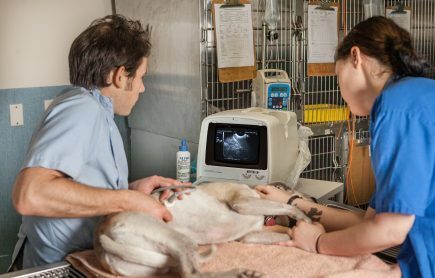 At the Waverley Animal Hospital, we have On Site digital X-rays Facilities, and On-Site Ultrasound Facilities, allowing us to investigate further into difficult cases without the need for you to transfer your pet to another facility. We can identify what your disease your pet has, advise on the appropriate tests, and discuss treatment and prognosis. We also provide caring elderly pet healthcare, helping advise you on the common syndromes that can affect the quality of life of your senior pet, and giving you meaningful advice on what is important in helping you to care for your pet in the way that you want.